The snow was falling hard this February day in Rocky Mountain National Park. Six inches had already fallen and over a foot was on the way. This beautiful grove on Ponderosa Pine tree's were coated in snow in Horseshoe Park. As the snow fell, Rocky Mountain National Park was totally calm and quiet. 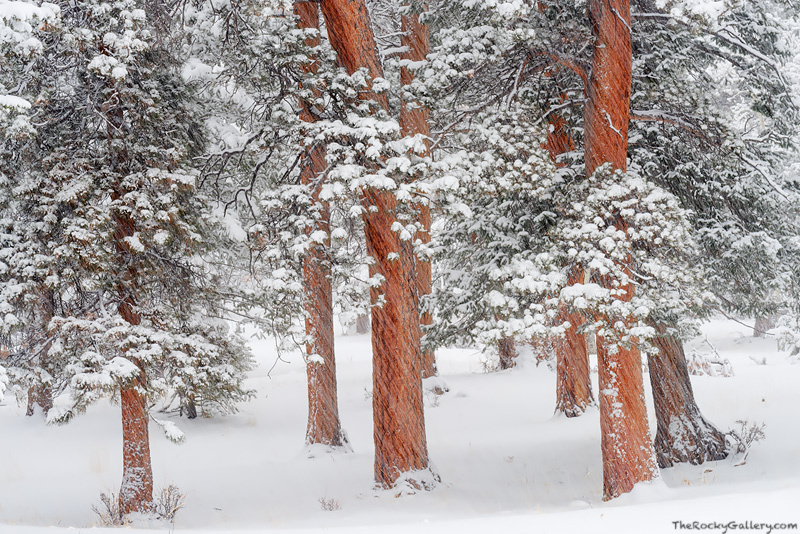 I could hear only the sounds of the snow landing on my hat as these beautiful tree's endured a typical winter day in Rocky Mountain National Park. Photo © copyright by Thomas Mangan.